Exfoliate once or twice a week to achieve a softer and healthier skin. Exfoliating stimulates blood flow, removes dead skin cells, helps detox your skin and aids your skin in absorbing moisture. In summer or when using spray tan exfoliating is even more important because it helps you obtain an even tan. 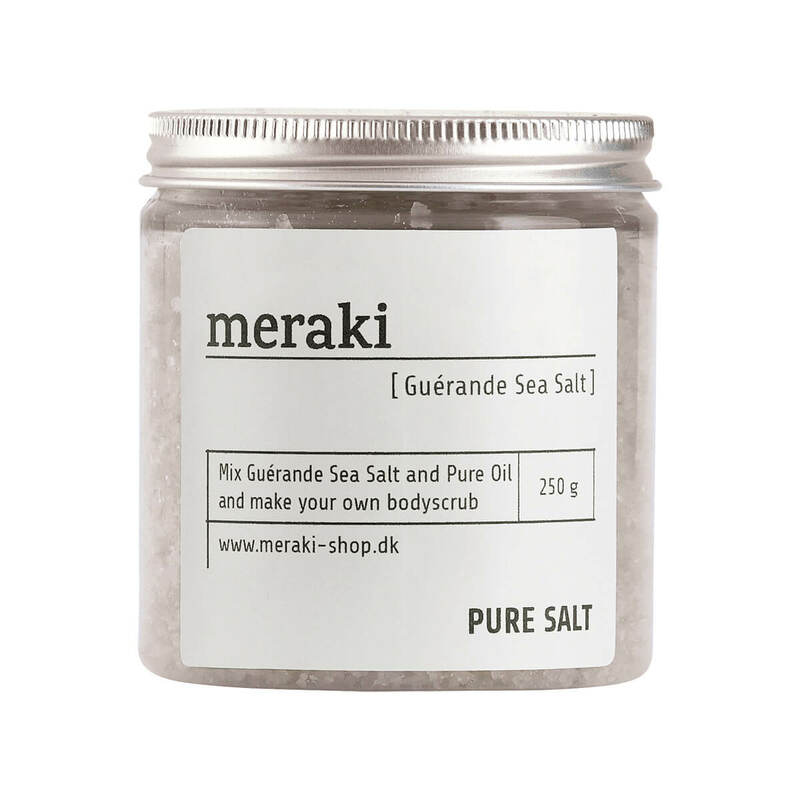 Apply a small amount of Guérande sea salt and Pure Oil to damp skin and massage gently in circular motion. Rinse thoroughly. Suitable for all skin types. Store at room temperature. Warning: Not for facial use. 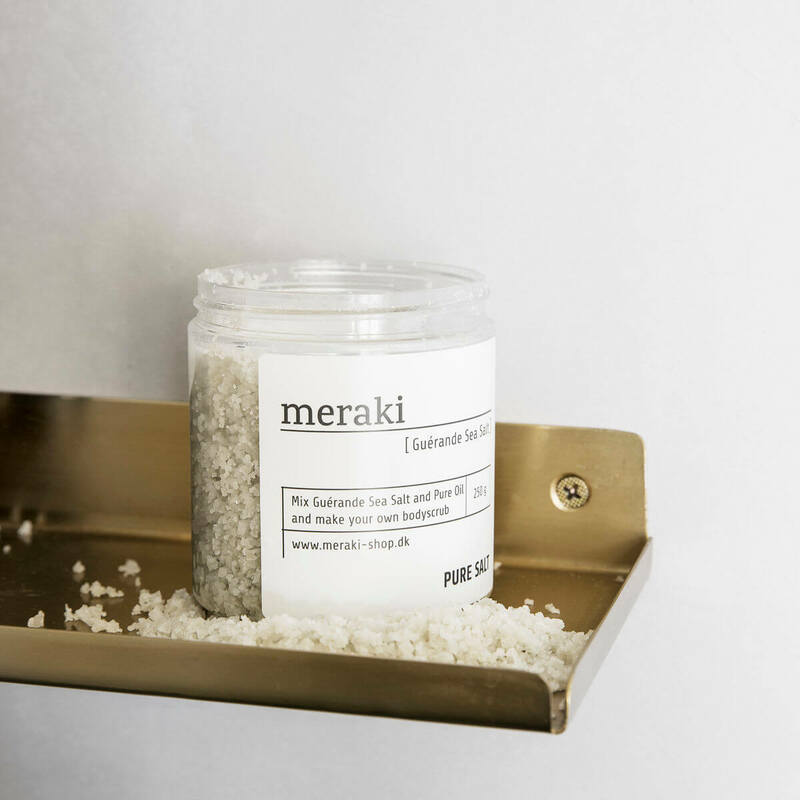 Finish off by applying Meraki Body Lotion to keep your skin moisturized.